As a nation, we may be better known for our haggis and single malt whisky, but you don’t have winters like ours without creating tastes that are like sweet sunshine on the tongue. For generations, we’ve been sharing these delicious gooey, sticky treats with family and friends. Taste them for yourself, and you’ll understand why. 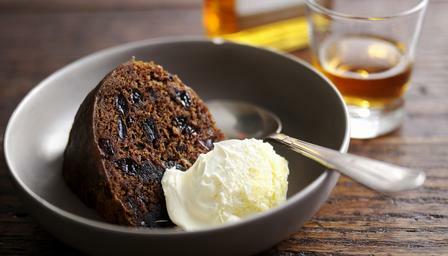 When facing a dark winter, there is no better way to fight the cold than with a slice of clootie dumpling. Maw Broon, from the Sunday Post’s comic strip family, includes grated apple in her clootie. Our award-winning Tilquihillie clootie dumpling will fill your kitchen with an irresistible orange and lemon fug. Never to be confused with fudge or the latest tech gizmo, Scottish tablet is a bombastic blend of condensed milk, sugar and butter. Great after dinner and with your favourite film, it is extremely moreish. Aye, tablet here. Once rumoured to be flavoured by Falkirk’s iron girders, this bright orange pop has an extra special place in Scottish hearts. When McDonald’s opened here, people picketed the restaurants for not selling Irn-Bru. It is now available in some branches and of course, you can buy Irn Bru here too. Great with a cuppa, and a deep pool of custard or cream, this delicious sticky cake contains stem ginger, sultanas and mixed peel. It is moistened with treacle and golden syrup and bound with oatmeal and eggs making it a really scrumptious mouthful. Just like your mum would make, buy ginger cake here . Dark rich and creamy chocolate with raspberries – surely one of your five a day. We’ve even got white chocolate too. From our fabulous specialist producers and not one to be missed. Buy Scottish Berry Chocolate here. Tunnock’s is a great Scottish brand. 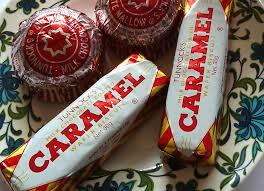 Most of us have found memories of eating a caramel wafer or tea cake at Gran’s. Chris Martin, from Coldplay, has said, ‘You can’t choose between the Caramel Wafer and the Tea Cake – they’re like Lennon and McCartney, you can’t separate them.’ So Coldplay can’t be all that bad! Wafer or Teacake, you decide. Shortbread is a biscuit ‘shortened’ by glorious butter. The texture of the biscuit is crisp and snappable- hence ‘short’. 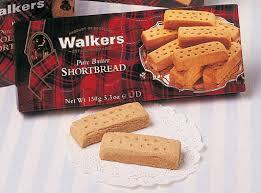 History suggests Scottish bakers used the name “shortbread” to escape the government’s tax on biscuits. 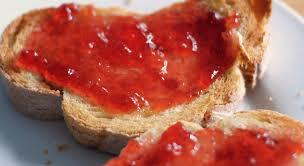 Whether true or not, this “bread” is never short with its sweet sugary crunch. Try shortbread here. Made with berries grown in the fields of eastern Scotland, Mackay’s Scottish Berry Preserve is a perfect way to begin your day. What are your favourite Scottish sweet treats? Share them in the comments below.